AJ Styles is currently talking to WWE about a new contract. There is a lot going on behind the scenes in this matter and a lot of it might be rumor and innuendo, but at this point, it seems like Styles will be around until WrestleMania at least. The only question is how WWE will use him. With Survivor Series in the past and TLC and Royal Rumble in WWE’s future, you never know what they could book for those big shows. Styles is a former WWE Champion so he is owed a rematch for the title, but only time will tell if that happens. After all, he’s still waiting for his rematch from the last time he lost the WWE Championship. 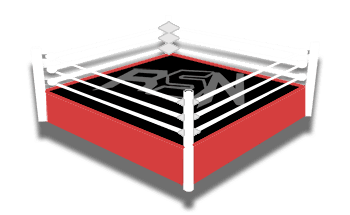 Joe Peisich noted on Barnburner’s No Holds Barred podcast that he’s been told AJ Styles has been given the week off so he won’t be in LA for SmackDown Live. Styles wasn’t backstage at Survivor Series as noted by our good friend Mike Johnson on PW Insider, so it looks like he’s not coming in just for the television show. Hopefully, Styles will do what’s best for himself and his family, but on Thanksgiving week, having the time off from work could do wonders in helping him come around to signing another WWE deal.